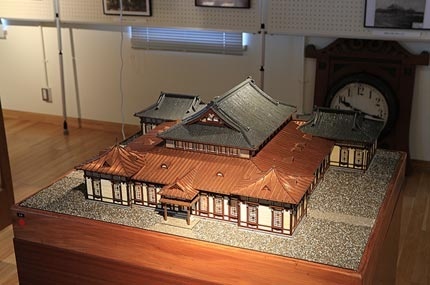 Valuable exhibits, such as documents, books, photographs, paintings, and models of Kyutech’s days as Meiji College of Technology in the early 20th century to the present, are displayed. 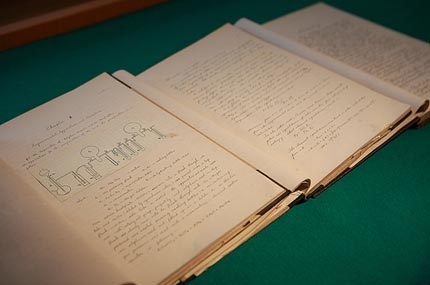 There are graduation theses donated by alumni at the age of Meiji College of Technology (1907 – 1943). Everything including title on the cover to the body is written in foreign languages, which was quite unusual for students to be assigned graduation theses at a technical school at that time. 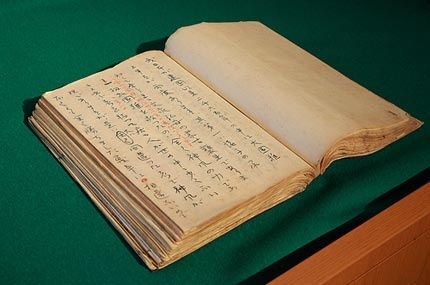 This is a script actually used by Dr. Kenjiro Yamakawa, the first president, at a talk at the first anniversary event in 1909. The corrected parts in red are said to be the autograph by Dr. Yamakawa. 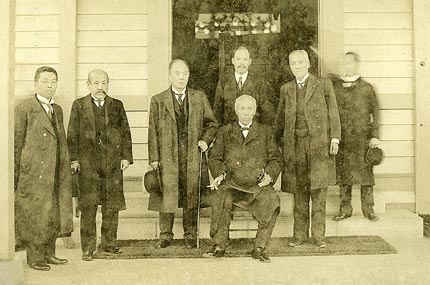 Dr. Yamakawa was assigned as the president of Meiji College of Technology in 1908 after retired from the presidency in Tokyo Imperial University (current Tokyo University). Later he held a president post at Kyushu Imperial University (current Kyushu University), Kyoto Imperial University (current Kyoto University), and Tokyo Imperial University.